I can���t quite work out whether Fullwood really is half Gypsy / half Gorgie or whether he���s just a Plastic Pikey, or even a Settler who understands the Traveller life and is able to write very well about it. Either way, I don���t think he���s quite found his feet yet. There���s some very good writing in this book but it���s peppered with ridiculous subplots, which is a shame because I suspect that if he stuck to the main plot and then built feasible subplots around that we���d have a much more credible book to read. As it is, it moves along far too slowly. For the first time ever I���m writing a review after not reading the full book, and I shouldn���t do that, but what really put me off after reaching the 30% mark is the amount of women the protagonist sleeps with. He���s little more than a tramp but he somehow manages to sleep with just about every woman in the village; the Lady of the Manor, the beautiful Spanish barmaid, a visiting Gypsy folk singer, ALL of his clients who he sells chickens to, one of whom even spends the night in the summer house with him, wakes up and ��� instead of trying to sneak back quietly into her marital bed before he husband realises she spent the night with their ���guest��� in the summer house - simply cooks matey a great big breakfast! I���d think the husband would have something to say about that, wouldn���t you? (I don���t mean shagging his wife ��� no one seems to mind that in this book ��� but I mean eating all his bacon). All of these women are, of course, beautiful. On the next page he���s off to visit June and guess what? She���s also an old conquest! And at that stage I gave up. Stick to writing about Gypsies, Frankie. 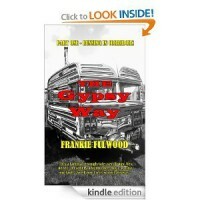 Publish a ���Confessions of a Gypsy chicken salesman��� in another format, if you like. There���s nothing wrong with a tongue-in-cheek book like that, although it���s all been done before and is a bit dated now. In ���The Gypsy Way,��� however, it just detracts from what I suspect is a very good storyline. I liked the Gypsy characters and wanted more of them, and I���m sure you could write really well about them. That in itself would be a much better book.